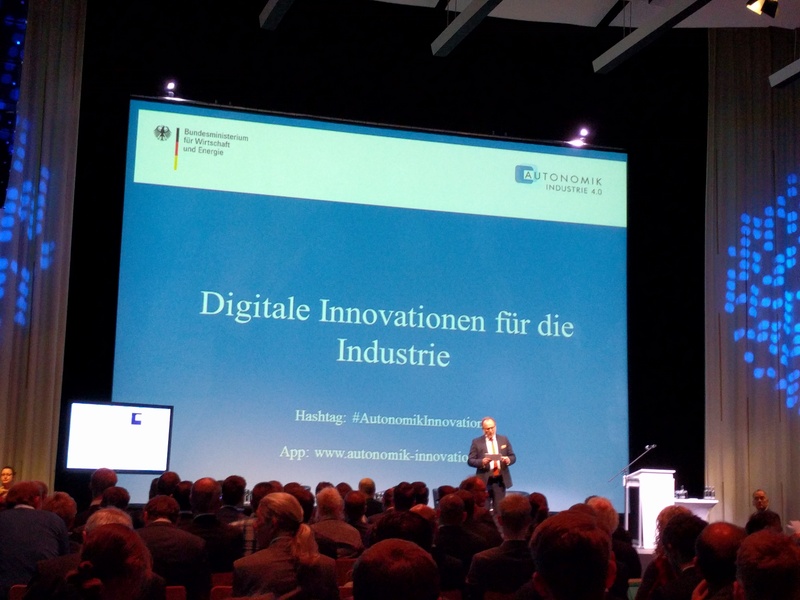 On October 13 2016, the German Federal Ministry for Economic Affairs and Energy organized presentations and exhibitions from a project group called “AUTONOMIK 4.0” (translated: Autonomic 4.0) in Berlin. The projects a ddresses the enhancement of digital processes in industrial work environments to boost and optimize production processes. This includes order picking drones, simulating production processes, and robots, which intervene automatically when a machine experiences failure states. In different presentations, benefits and risks of digitizing industrial processes were discussed. Advantages, such as passing dangerous tasks to robots or being supported by an artificial intelligence has pondered against considerations regarding privacy and level of freedoms in industrial productions. 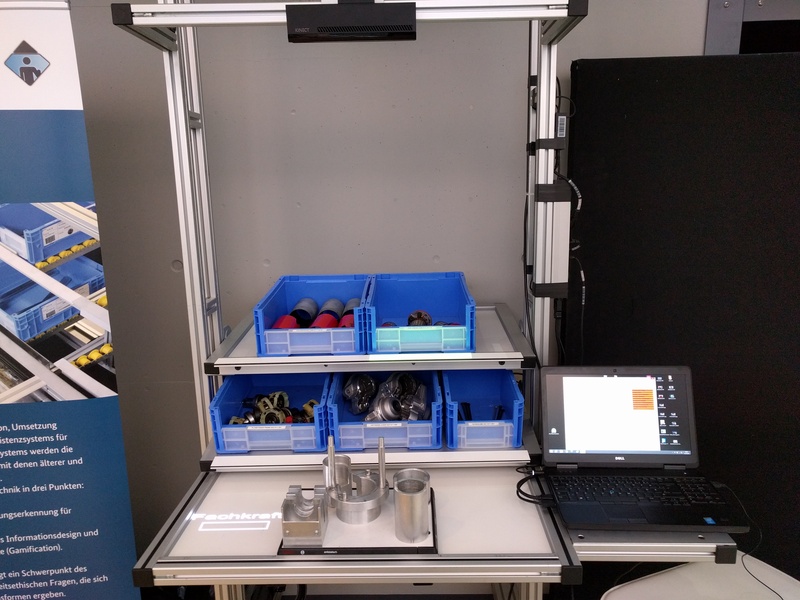 We from the hciLab at the University of Stuttgart received the opportunity to present a four year ongoing project called motionEAP, which belongs to the project group “AUTONOMIK 4.0”. In this project, manual assembly workplaces are enriched by projections, which support workers at their work by projecting assembly instruction-based feedback directly into their workplace. A depth camera is used to detect hand gestures and assembly steps. Being able to acquire the current state of the assembly, appropriate feedback is projected in real-time. Moreover, manual assemblies are often produced on-demand with low lot sizes by a customer. 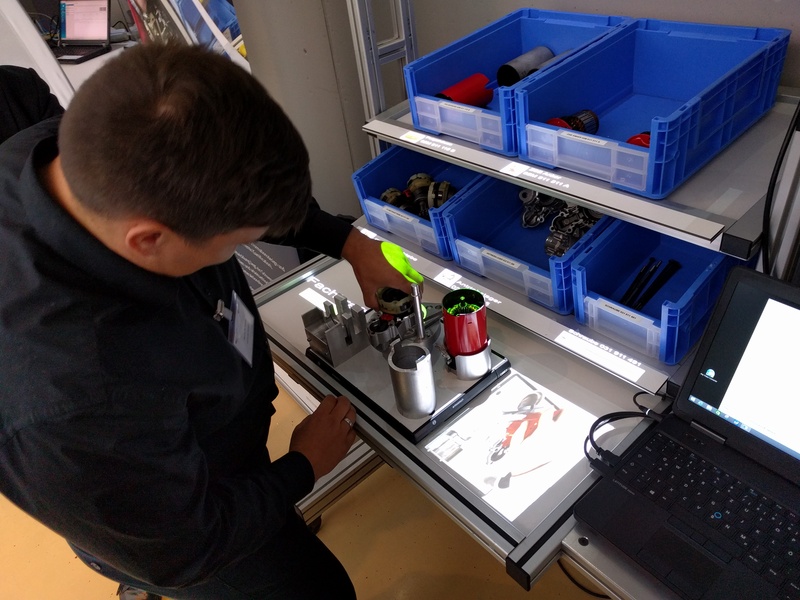 As for the worker, this requires to study new assembly instructions, where motionEAP provides new assembly instructions on the fly by recognizing a QR code on a workpiece carrier. This lowers the mental efforts workers have when assembling new products. The images below this post show pictures from our exhibition at the event location. Overall, we met a lot of interesting people and got inspired by others projects. 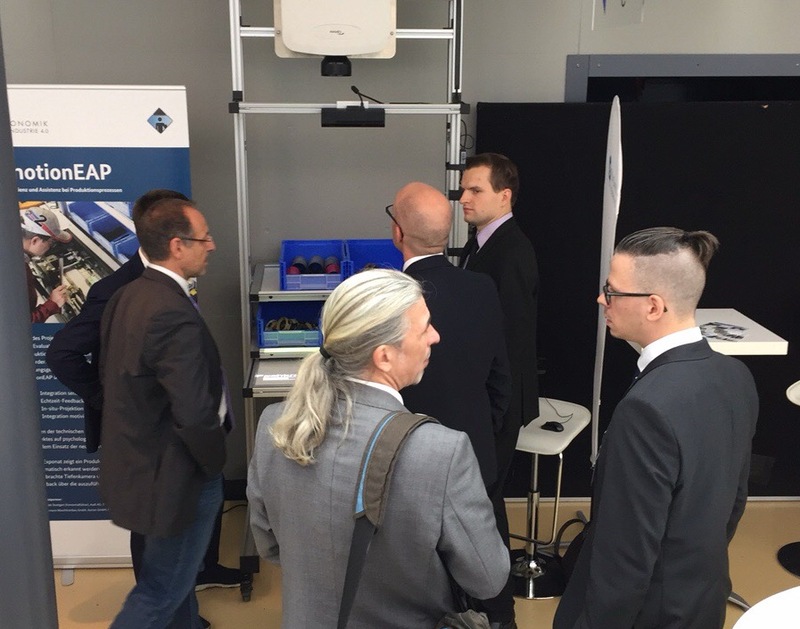 This event showed a high level of innovations when it comes to optimize industrial processes by German research organizations supported by industrial partners.